Mervin Yellin entered BBHS in 1941. Ann Savage’s art class provided the setting that spurred Yellin’s enthusiasm and helped develop his deep love of art and ability for painting. In the evening he attended art classes with Alexander Bercovitch. Upon graduating, it was with Ann Savage’s interest and drive, that Yellin was awarded a scholarship from the BBHS Home & School Association to continue his studies at the Montreal Museum School of Fine Art. This scholarship, a first for the school, was a great source of pride and his introduction to a creative future. There, Yellin was awarded successive scholarships, enabling him to study under Jacques DeTonnancour, Eldon Grier, Goodridge Roberts and Arthur Lismer. Yellin started his artistic career as a graphic artist in 1947 in a commercial art studio and then as Art Director with a local advertising agency. In 1950, he joined the Stanfield Johnson & Hill Advertising agency, where his work was regularly included in prestigious Award Publications and Canadian and American Art Director shows. All through those years, he nurtured his strong love and interest in art through woodblock printing and painting. This driving force led him to Italy in 1956, to the small village of Anticoli Corrado, where he spent his days painting, in a community of kindred spirits, reflecting on his career path. 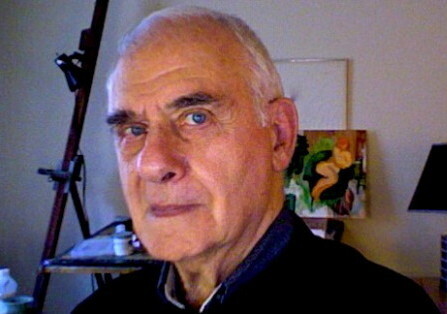 When Yellin returned to Montreal in 1958, he rejoined Stanfield Johnson & Hill as VP Creative Art Director in charge of national and international print and television accounts. 1982 he moved to BCP/Publicis Advertising. Throughout the years, he was a guide and mentor to many young designers and copywriters. His print and television campaigns gained him numerous Art Director, Graphica, Clio and Mondial Awards. Retiring from advertising in 2009, Yellin continues to paint and exhibit. Click here to see a selection of his artwork.